Analyzing The Psychological Factors That Can Lead A Team Into A Destructive Goal Pursuit. 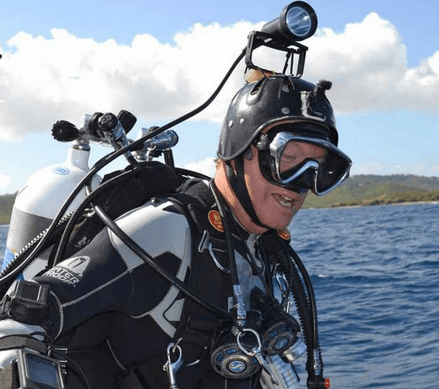 On the 15th August 2015, the technical diving community received sad news that the latest World Depth Record attempt, to 1200ft/365m) had ended in tragedy when the participant, Dr Guy Garman, failed to return from depth to his deep support divers. 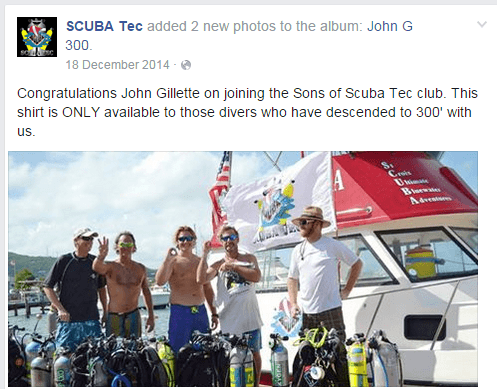 The attempt was carried out in St Croix, US Virgin Islands and supported by Scuba Tec, a technical diving school located there. Firstly, I would like to wish my sincere condolences to the friends and family that Dr Garman left behind. Now, I would like to consider some psychological factors that seem pertinent to the failed, and fatal, world depth record attempt. I am not seeking to attribute blame, nor to define a cause for the tragedy. I am writing purely for educational purposes in the hope that the information shared may help prevent future accidents. Dr Garman, known amongst his friends as ‘Doc Deep’, had only been diving for 4 years and accumulated less than 600 dives. This works out, on average as only 3 dives per week. His progression from learner diver to advanced technical diver was extremely fast, leading to 1/3rd of his dives (200 dives) being below below 60m/200ft. Of these, a mere 35 dives were below 150m at the time of his record attempt. To many (most?) in the technical diving community (or professional recreational diving industry, for that matter) this experience total would be considered woefully small; his progression extremely fast and without pause for consolidation. Speaking only for myself; my humble diving experience is more than 10x that of Dr Garman. 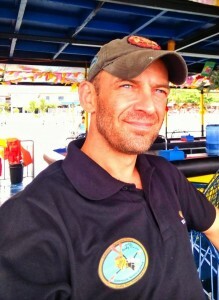 I’ve been diving more than 25 years; 10 years in technical diving as full-time, professional instructor and diver. Yet, I wouldn’t currently consider myself ready to attempt breaking a world depth record. Far from it. 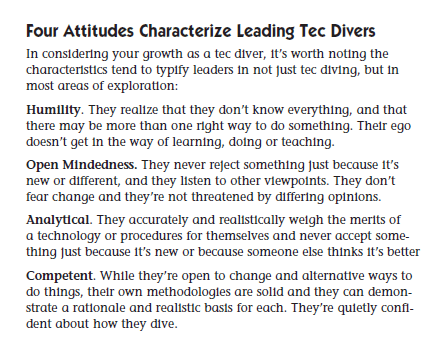 I compare myself with peers in the technical diving community and willingly accept that there are many whose experience, capability and knowledge far exceed my own. Dr Garman had previously dove once to a maximum depth of 800ft maximum. It was an enormous escalation to jump down to 1200ft . 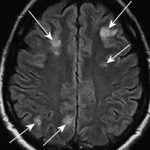 That jump in depth left him under-experienced in his personal tolerances of extreme deep-water hyperbaric physiological reactions, especially High Pressure Neurological Syndrome (HPNS); which is a known killer on previous extreme deep dives, and Compression Arthralgia (the hyperbaric effect that compresses joint cartilages, causing extreme pain and immobility). Progressively and incrementally increasing his extreme deep diving range would have better informed him of his personal tolerances and helped shape his descent and gas strategies. It may even have helped him set a personal depth limit above that which he attempted for the record. 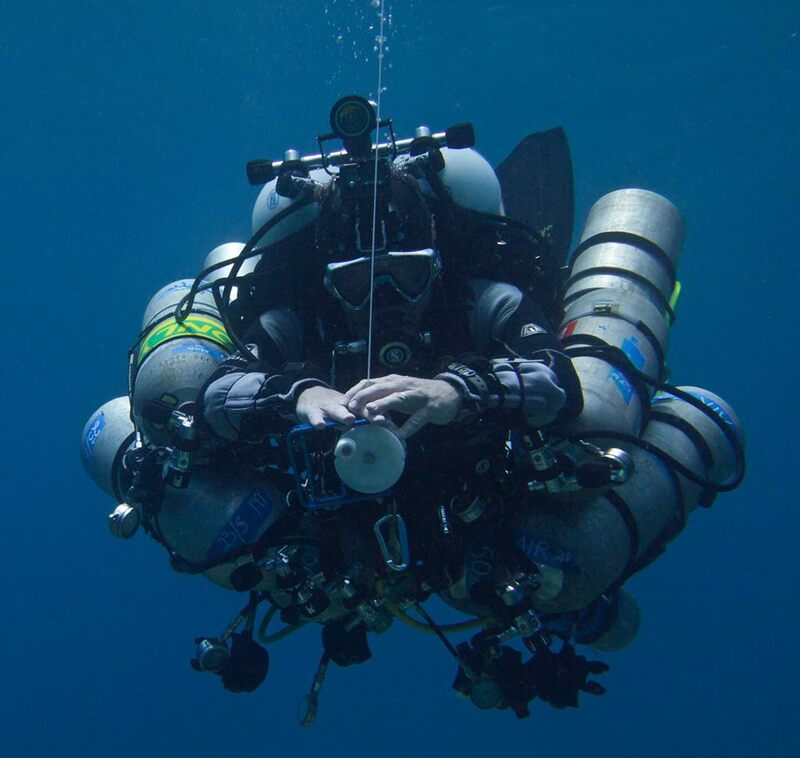 Doc Deep (Guy Garman) in his technical rig on a preparatory dive before attempting the World Record for deepest open circuit dive. Of course, that process would have taken much longer. Years longer. Many, many more dives longer. 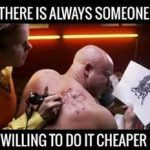 Cost much more money. But, it may have provided a lesson that he was unsuited physiologically to the extreme deep…. or that his hypothetical planning was flawed. The attempt may never have occurred if he’d opted for prudence, patience and critical feedback at progressive, repeated steps over time. 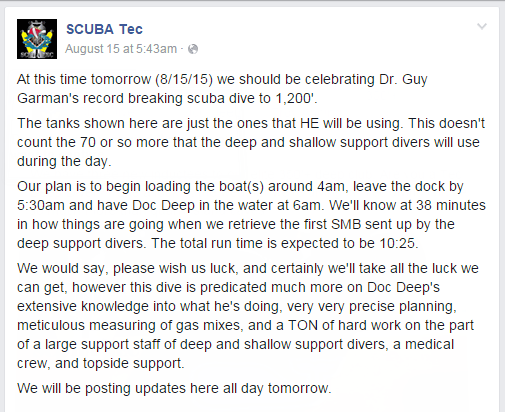 As it is, Doc Deep’s Facebook wall shows celebratory posts commemorating a rapid series of deeper and deeper dives from early 2015 until his fatal dive in August. Each dive was seen as an affirmation of complete success and led to a subsequent deeper dive. The pace of progression was astonishing. The steps between dive depths became greater and greater. Nothing went wrong, so nothing was considered wrong. Each dive became a ‘green light’ to progress further. His final step, from 815ft/248m to 1200ft/365m represented an increase of 1/3rd depth; and exposed him to nearly 22 ata of additional pressure. A quick glance down the Scuba TEC Facebook wall shows a distinct trend towards glamorizing and glorifying excessively deep dives. 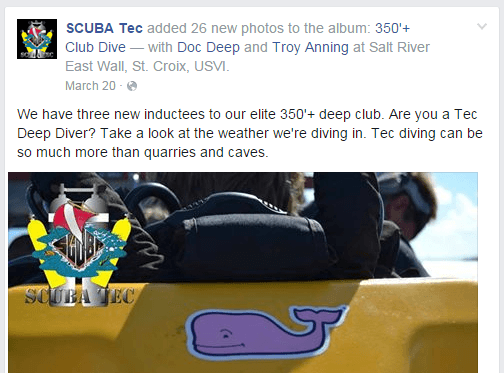 Virtually every wall post is boasting of a deeper, more extreme dive… an “elite” club that dives below 350ft….. ‘limited t-shirts’ available only to those who dive below 300’ with the organization. Glorifying deep dives; making depth a ‘goal’ in itself; rewarding deep dives through varied forms of clique and status can so easily become an insidious form of gung-ho peer pressure. 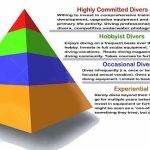 Rather than supporting a conservative and progressive approach to developing technical diving limits with patience, humility, caution and self-awareness, the opposite has occurred. We might also look at the ‘culture’ of technical diving in that area. 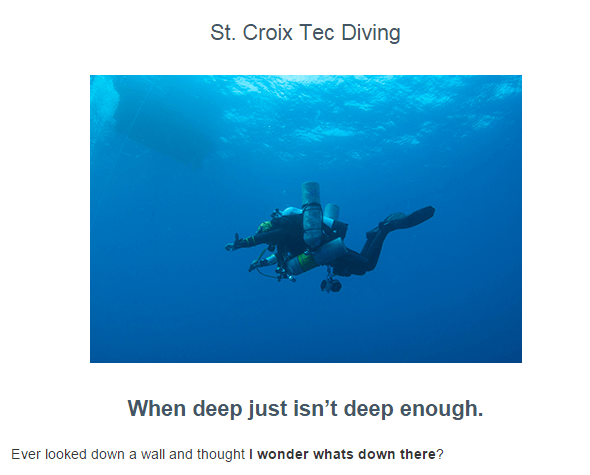 St Croix is not blessed with deep-water wrecks or cave systems. 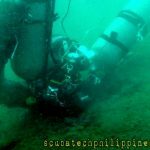 Technical dives are conducted on deep ocean walls, with no other specific target or goal…. beyond depth itself. To ‘sell’ technical diving, they have to sell ‘depth’. Website advert from St. Croix Ultimate Bluewater Adventures, where Dr Garman received technical training. Exactly how deep just isn’t deep enough? Sadly, the most basic advice on ‘correct technical diving mindset’, as taught on technical diving courses seems to have been forgotten. Depth should never be glorified. 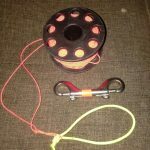 Setting personal records and encouraging deep bounce dives for that purpose, is the antithesis of a proper technical diving mentality. 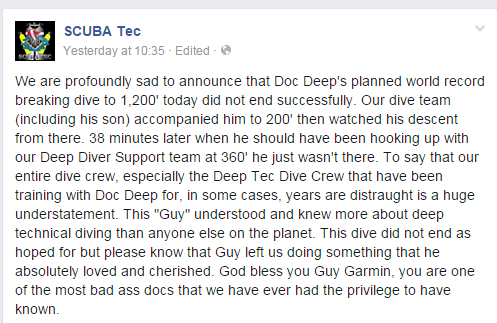 Dr Garman’s dive team, Scuba TEC, stated on their Facebook page that he “…knew more about technical diving than anyone else on the planet”. There seems some serious ego behind a sweeping statement like that; especially given his relatively meagre experience and time as a technical diver. Quoted from the PADI TecRec ‘Tech Deep Diver Manual’. Natural talent and abilities aside; technical diving (let alone world depth record attempts) demands significant experience. Self-discipline is needed to apply patience and humility to progressively and realistically develop one’s limits and boundaries. Competency needs to be proven at one level, before progression to subsequent levels and challenges. Proving that competency can only occur through accumulated experience. A technical diver must have had the chance to encounter and overcome a full breadth of real (not simulated) foreseeable and unforeseeable problems… and must prove to themselves their ability to deal with this issues. 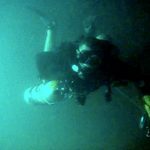 In respect to extreme deep dives, multiple dives at progressive, staged levels of depth increment are necessary to validate an individual’s susceptibility and ability to function when exposed to hyperbaric maladies like HPNS and Compression Arthralgia. Only then should deeper, more complex (and risk-prone) depth levels be sought. When pursuing development in technical diving it is imperative to remain grounded and humble. Ego kills divers. It is critical to surround yourself with peers who help you retain a grounded ego-free approach to your diving. Doc Deep (Guy Garman) pictured in 2014, after only 2 years as a scuba diver and 1 year prior to his fatal world depth record attempt. Likewise, the ego must be controlled with regards to external feedback and advice. 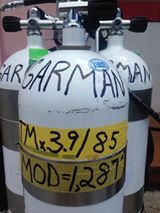 Prior to his record attempt, the technical diving chat forums were filling with concerned posts over the attempt and Dr Garman’s relative inexperience and potentially flawed approaches to the dive. 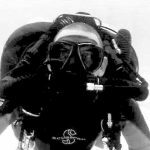 Some of this advice originated from diving medical professionals and vastly experienced technical or commercial divers with experience in extreme hyperbaric diving operations. These posts were occasionally responded to my members of Dr Garman’s team but ultimately ignored. Collective wisdom and shared community and peer experience is a great thing. Ignore it at your peril. Know the difference between genuine concern from learned peers and negative ‘nay-sayers’. Few people desire to break world records in diving. We must accept that strong ego is what drives most of those who aspire to achieve great things. But ego can be a good and a bad thing. It drives us, it motivates us… but it can also lead us into flawed decision making. It can be a fatal flaw, if not balanced with some prudence and wise counsel. and there are bold divers. But there are no old, bold divers”. ‘Doc Deep’ obtained the training qualifications and theoretical knowledge to tell him what he ‘could‘ do….. but didn’t seek sufficient experience to give him the wisdom of what he ‘should‘ do…. Normalization of Deviance is a term that arose from NASA’s inquest into the 1986 Space Shuttle Challenger disaster. The term was first published in Diane Vaughan’s book, ‘The Challenger Launch Decision‘. It is a concept now being adopted as a causal factor in accident analysis in other fields, including diving. “The Normalization of Deviance describes a dangerous facet of human nature. 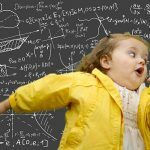 It goes something like this: We do something that does not follow the accepted (and acceptable) rules or guidelines – for example, we skip certain steps in a “standard” procedure because it saves time. The trouble stems from the unfortunate fact that we get away with taking the shortcut. Then, believing it’s safe to make the same safety shortcut next time around, we do the same thing… we ignore safe practice, established safe practice. In the absence of things going totally pear-shaped, our deviation from normal practice and safe procedure becomes a new acceptable norm“. What we might identify in Doc Deep’s short progression as a technical diver is a rapid escalation in diving depth and challenge… but rarely any time consolidating at a given level before progression to the next. We also see the most basic ‘standard guidelines’, in respect of prudence, experience acquisition and technical diving mindset being over-ruled again and again. Doc Deep conducted ever more risky dives. They were successful. He “got away with it”. They weren’t repeated, to make sure it wasn’t luck. Each single, successful deep dive established an instant and unquestioned precedence that he was ‘competent and safe’ to progress further. His ‘rise’ in skill was meteoric over 4 years. 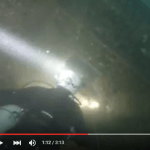 A seeming prodigy in technical diving. 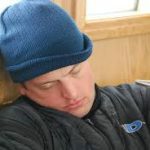 From non-diver to world depth record attempt in only 48 months. We can see a distinct deviation from best, or accepted, practice for technical diving. The increment of deviation got larger with each dive that didn’t go wrong. Ultimately it did go wrong and cost his life. In her book, Diane Vaughn describes how this deviation from best practice resulted in “Predictable Surprise“. Eventually, NASA’s luck ran out and it killed five astronauts, two payload specialists; and grounded the space shuttle program for almost three years. 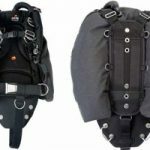 Few in the technical diving community outside of Dr Guy Garman’s own support team were surprised that his attempt failed fatally. Many publicly predicted such a tragic failure, in advance, on social media forums. “.…if the dive community, … could put greater emphasis on the pratfalls and consequences associated with the normalization of deviance, it might help to lessen the unfortunate tendency of some divers to depart from established best practices… We would, in essence, be removing a link that shows itself in many chains of error. And we might see diving fatalities shrink: perhaps not to nothing, but at least shrink a little. We will never change human nature, and never eliminate human error, but we can help to create a culture of responsibility based on a realistic review of what kills divers”. Extreme deep divers rely upon their support teams. These teams provide the logistics, expertise, finance, publicity, sponsorship, in-water and psychological support that enable extreme deep diving projects to happen. Positive thinking and motivation are key aspects of that support. However, it is also the responsibility of the support team to help keep the primary characters grounded and realistic. They should challenge egos and presumptions, not eagerly promote them. Support teams should not contain ‘yes men’, sycophants and cheerleaders…. The fact is, those who aspire to break world records rarely suffer from a deficit of motivation or self-belief. The last thing they need is further artificial stimulation of their ego. A support team must recognize that. The support team must guard against insularity. They should be transparent to the wider technical diving community and peer group. They should beseech advice and seek counsel and consultation from outside. Most importantly, they should respect and consider that external advice. It is far to easy to get tunnel-vision on your goals, both as an individual and as a team. Acknowledging external peer-supplied perspectives helps prevent that tunnel-vision becoming a doomed endeavour. 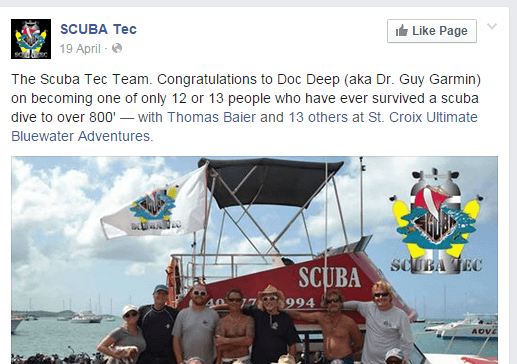 According to the Scuba TEC Facebook page, Dr Garman “… knew more about technical diving than anyone else on the planet“. Given his actual experience in time and dives, that does not sound like a realistic boast. Nor does it show an appreciation of the vast wealth of technical deep diving experience held by the wider technical diving community. It is insular and naive. It is not a boast that any person connected with an extremely deep dive project should ever make. It’s important to surround yourself with the RIGHT people if you need to stay grounded, humble and patient. Choose those who challenge your ego, not flatter it. Dive with people who humble you with their skills, not sycophants who applaud you. Seek to be a small fish in an even bigger pond. Reject the temptation to remain the biggest fish in a small pond. When someone has a dream… a deep goal in life, it is tempting to support that dream, whatever the reality. To do anything less is seen as negative or even impolite. The desire to “be positive” can easily become irrational. Now, that’s okay if we’re talking about a tone-deaf wannabe surrounded by an uber-exuberant entourage of family and well-wishing friends on American Idol….whose aspirations are shot down to reality by Simon Cowell. Tears before bedtime…no recording contract, but life goes on. The same baseless positivity and mindless enthusiasm are not suitable for those aspiring to extreme deep technical diving, where the consequences of failure are inevitably and unequivocally fatal. It might be a product of the modern culture of ‘instant-gratification‘. We are told so often we can achieve whatever we want. We are provided with the means to do that. We can throw money at our goals and there will always be someone around to collect that money and tell us how great we are. Technical diving, in particular, is becoming a more mainstream diving pursuit. Access to training, qualifications and equipment is becoming ever easier. It’s a “cool hobby” with which to impress your friends. Dive centres are always under-pressure to sell more courses, equipment and gain publicity. Some technical instructors are more than happy to pander towards that culture of instant-gratification, regardless of the potential consequences. What we don’t see… anywhere near often enough…. is the old advice to “go out and pay your dues the hard way“. Hard-work, patience, perseverance, learning your limitations, humility…….investing time and effort, rather than money, to accomplish your dreams. What happened to telling someone “No”…. or “Not Yet”? Four years and 595 dives from first dunking his head in the swimming pool on his Open Water course and ‘Doc Deep’ had received sufficient positive affirmations to seriously believe he “knew more about technical diving than anyone else on the planet“; and was ready to go deeper on open-circuit scuba than any man in history. In hindsight, it seems ludicrous. That fact it wasn’t readily apparent to Dr Garman and his team, at the time, should cause us all to robustly and honestly re-assess our own capabilities, strengths and weaknesses. 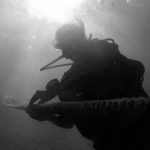 Technical diving training should be a psychological ‘nut-cruncher’. 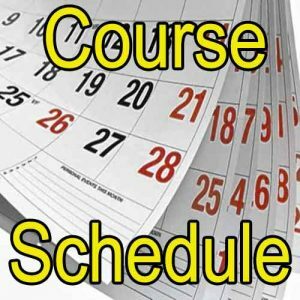 A good technical diving instructor will leave their students in no uncertain terms of their capabilities. The ‘high-fives’ and “you’re a super-star” must end when you leave the safe surrounds of recreational, shallow, low-risk diving. If you didn’t feel humbled by your technical training, then you got ripped off. If you don’t feel humble as a technical diver, then you’re insulating yourself from the big pond and the big fish within. The term ‘Groupthink‘ was first used by social psychologist Irving Lester Janis in his 1972 book “Victims of Groupthink“. 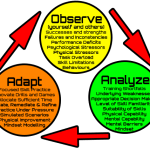 It is a psychological process that can easily effect technical diving teams. Groupthink occurs when the team makes faulty decisions and ignore alternatives, due to pressures that lead to a deterioration of “mental efficiency, reality testing, and moral judgment”. A team is especially susceptible to groupthink when its members are similar in background, insulated from outside opinions, when there are no clear rules for decision making and when the team is highly cohesive and under significant pressure to achieve a result. When there is pressure for team unanimity and common-purpose, individual team members become less motivated to realistically assess the alternatives; especially those that may be deemed negative to achieving the team goal. The result is increased carelessness and irrational thinking, all in an effort to preserve team cohesion. Ultimately, the probability of achieving a successful, or safe, outcome deteriorates. Taking time to observe and consider external (peers/rivals/community) reactions to the project variables. “Destructive goal pursuit is the inability to stop an activity because the goal is so important (especially in the eyes of the leader) that it takes precedence over everything………….. 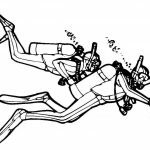 In diving, we normally operate as buddy pairs or teams and there is always the maxim that anyone can thumb the dive at any time for any reason. However, when you are task focused on getting the job done, sometimes you lose track of what is going on around you, and even when you do realize that things are past the ‘last safe point’, you still carry on in pursuit of the activity……. 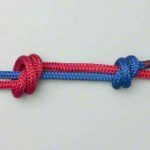 It takes a good level of mutual trust and respect to be able to put your thumb out and end the dive when there is considerable pressure to complete the task. 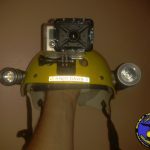 Unfortunately, a number of fatalities and incidents have occurred because their pursuit of the goal took primacy over their own (or other’s) safety….”. The full book on Destructive Goal Pursuit, by Dr Christopher Kays PhD, can be read here: Destructive Goal Pursuit: The Mount Everest Disaster. When a strong-willed, highly-driven person sets to accomplish a difficult goal; and is surrounded by a positive, motivated team, it can create a situation which makes it very difficult for anyone involved to ‘apply the brakes’ if necessary. The task focus and team-brain are devoted entirely to achieving the goal and a form of tunnel vision arises. There are also psychological pressures not to detract from the team effort by raising concerns or appearing to act in a negative manner. The whole team must always remember that a project can snowball in speed and intensity. It can be difficult for anyone, especially the leader, to halt such a project once momentum increases. Nobody wants to let anyone down. It is important that all team members feel empowered and supported to voice concerns. There need to be group protocols to routinely re-assess progress and enable the project to be aborted or amended as a formal consideration. No pressure must be applied during this process; the team must be encouraged to think independently and voice their thoughts truthfully. 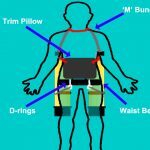 At this time, shortly after news of the fatal record attempt has broken across the diving community, there remains a lot of information needed before a full accident analysis can be undertaken. There are many factors, beyond the psychological mechanisms mentioned in this article, that could have contributed more directly to the fatality. Upon recovery of Dr Garman’s remains, we may find catastrophic equipment issues or medical evidence of debilitating physiological events under extreme depth pressure. My writing on the potential psychological factors looks into the less direct causes. Factors that may have otherwise led to this world record project being carried out differently, for a positive result… or not even carried out at all (and no fatality arising). The question that must be asked was whether Doc Deep’s support group became so task focused on achieving their goal that they lost track of the ‘last safe point’ and nobody suggested stopping, or slowing, the endeavour. 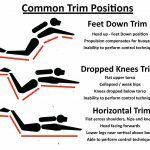 Did anyone on the team try to ‘thumb the dive’ in the weeks, months or years leading up to the fatality? Did anyone on the team counsel caution or raise doubts? Did anyone on the team seek outside advice or consultation to provide a ‘second opinion’ on the group-think and goals of the team? Some very important lessons to arise from this… especially the need for team checks and balances to prevent group-think leading to a destructive goal pursuit situation. The role of a support team isn’t to be cheerleaders or provide unquestioning positive motivation. The team needs to keep individuals grounded and cognizant of the big picture. Don’t be insular as a team. Reach out to the community, to other experts, for a second opinion. Heed that opinion.